Strategy: My 3 Kindle Books Free! 9 days of Worldwide Giveaway! Posted on October 21, 2016 by Richard H. McBee Jr.
It’s that time of the year! Share my Time to try out a new strategy! Keep these dates when you and your friends will be able to receive free books of your choice. Forward this to as many of your followers as possible so they can share in the holiday joy!. I decided to rotate my Kindle Kindle Direct Publishing books through the offers they allow authors to give during a 90 day period. This means to offer their books FREE! With 9 Saturdays and one Cyber Monday between now and the traditional holiday celebrations of Christmas Eve Christmas Customs, Hanukkah Hanukkah Customs, and Kwanzaa Kwanzaa Customs , to name only a few of the celebrations this time of year. It’s a great time for people everywhere to relax and celebrate with a good book. 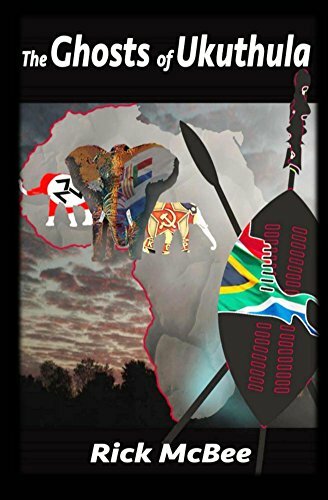 I will be giving away my new South African Adventure novel 0n 5 days: 10/22, 11/12, 11/26, 11/28, and 12/10 between the hours of 12AM PST and 12PM PST (that’s GMT minus 8 hours for those of you on the other side of the planet. Check it out! 5. For all of you true to life history buffs, I will be giving away my Civil War History book on 2 days: 10/29, and 11/5, again between 12AM and 12PM on each date (GMT minus 8 hours) Check it out! 6. And Last but by no means least! For all of you traveling to Florida or the Caribbean I will be giving away my Seashells of the Caribbean book on 5 days: 11/5, 11/19, 11/26, 12/3, and 12/17, again between 12AM and 12PM on each of those dates (GMT minus 8 hours) Check it out! Sounds Crazy? Yea! Enjoy yourselves and have a very merry holiday!